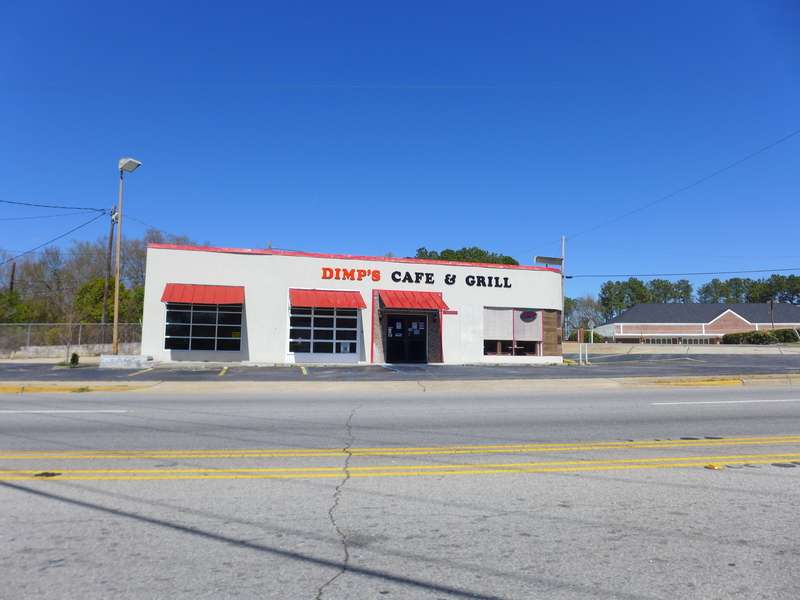 Dimp's Cafe & Grill was the follow-on to several restaurants here at 3600 River Drive, including at least Buck's Cafe and 3 Point Cafe & Grill. I have not gotten around to eating at any of these so far. I'm not sure when Dimp's closed, but I drive this stretch often enough that I think I would have noticed it before now if it were any longer ago than January or February of 2018. The place is now Vibes though they do not yet have a sign on the building itself. Well, this is the end of an era. 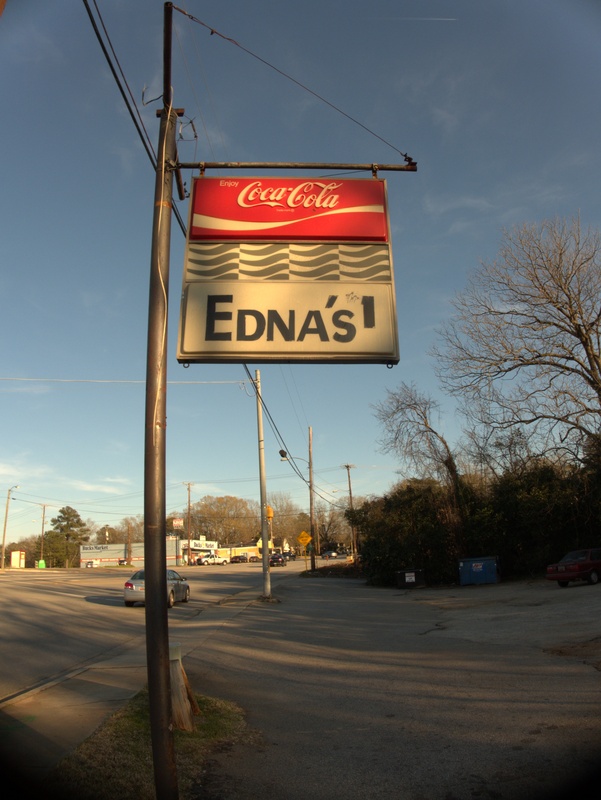 Edna's on River Drive predates me into this world by something over a year, so has been a Columbia institution longer than I've been alive. 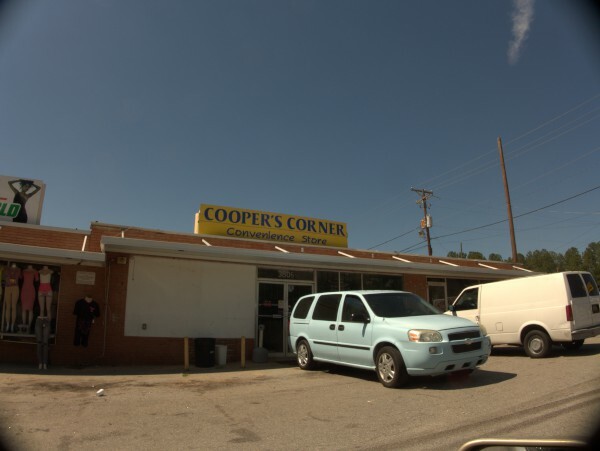 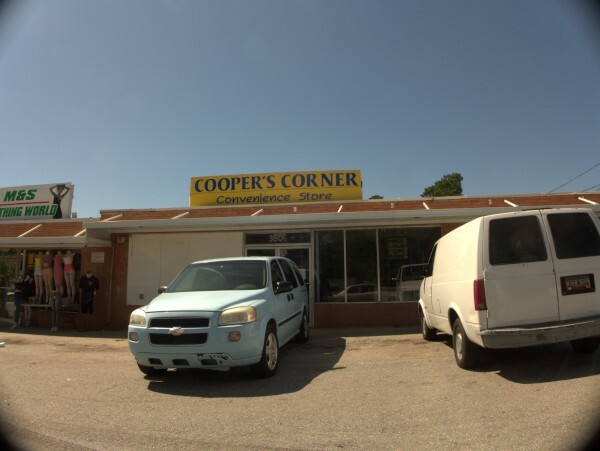 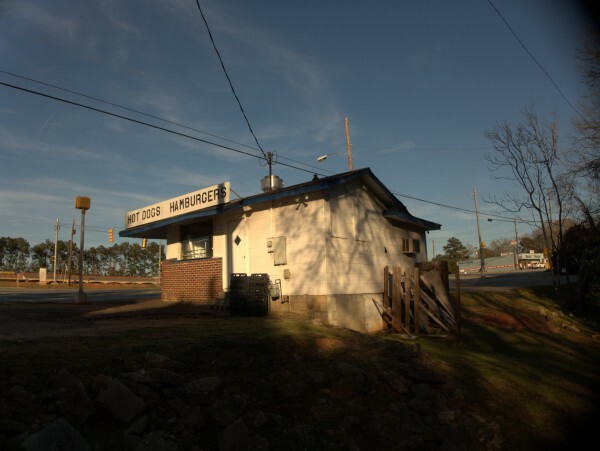 Of course, it has been an institution in a part of the town we used to think of as far away, so if we ever ate here growing up, it was long enough ago, and infrequently enough that I can't remember it. 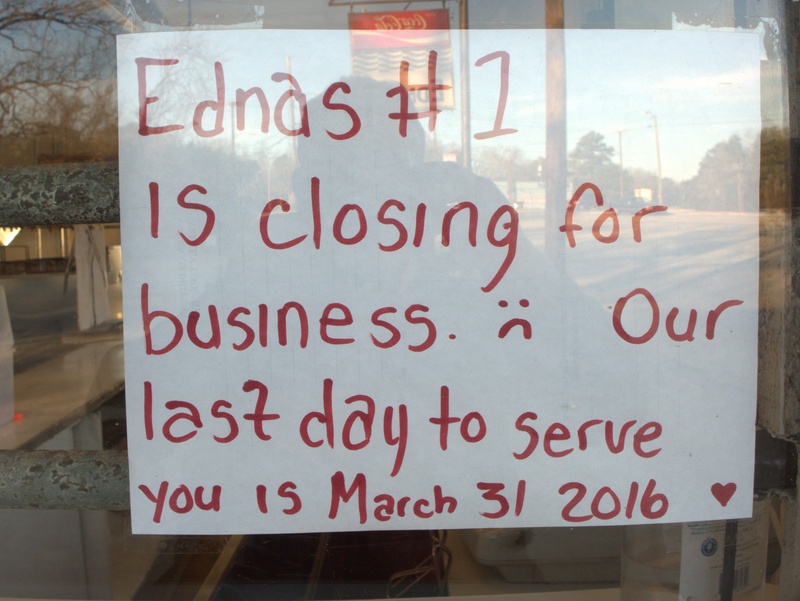 I'll have to try to remedy that before 31 March. This kind of walk-up, no inside dining restaurant used to be common. 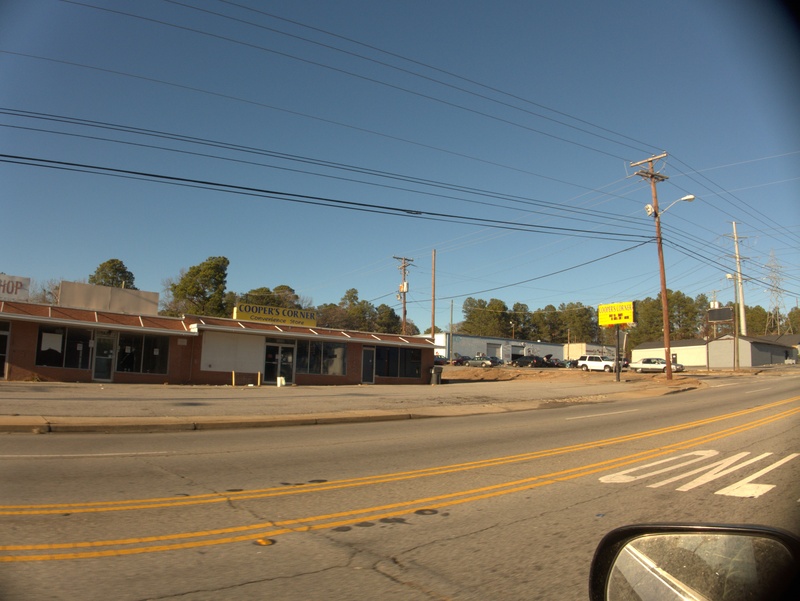 In fact that's the way I recall Bell's and the original Garners Ferry McDonald's. 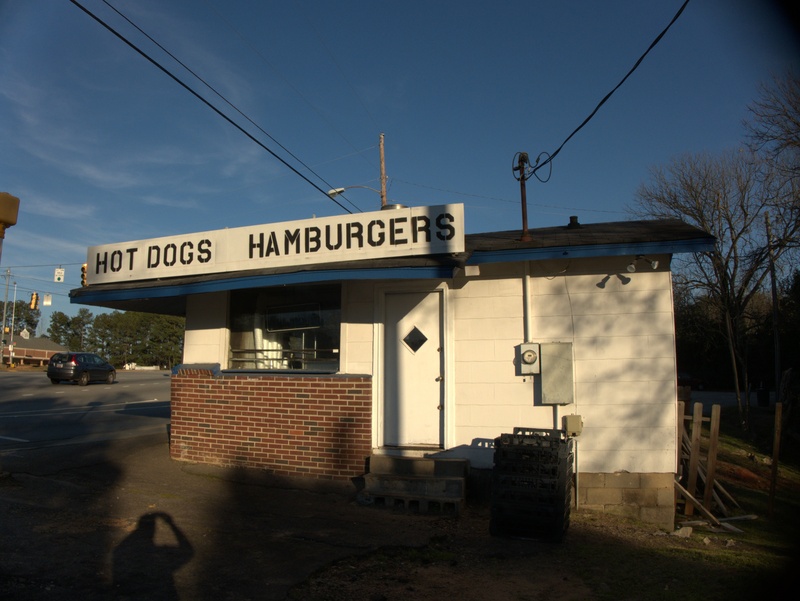 Nowdays it is much less common, though you can still see remnants of the style, now worked around, in Zesto and Dairy Bar. I love the common-sense practicality of the cement blocks shorter customers can stand on to bring them up to window level. 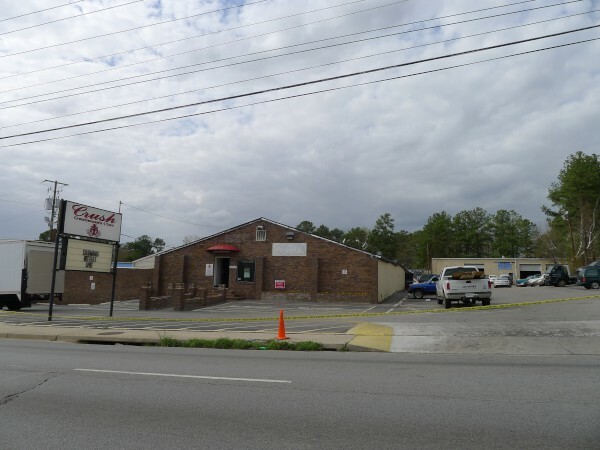 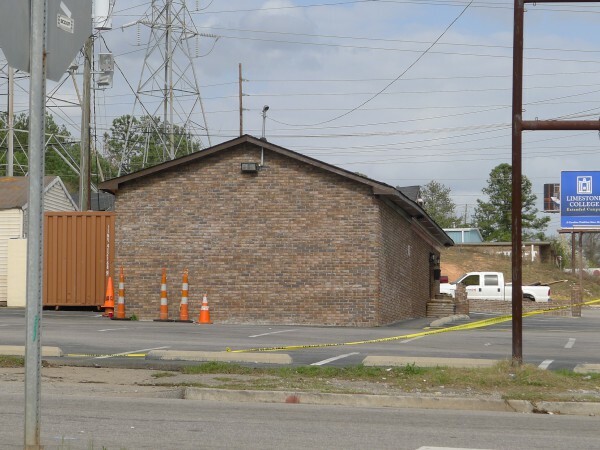 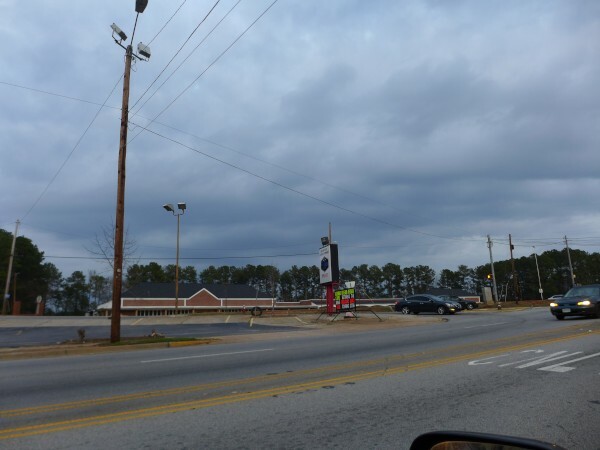 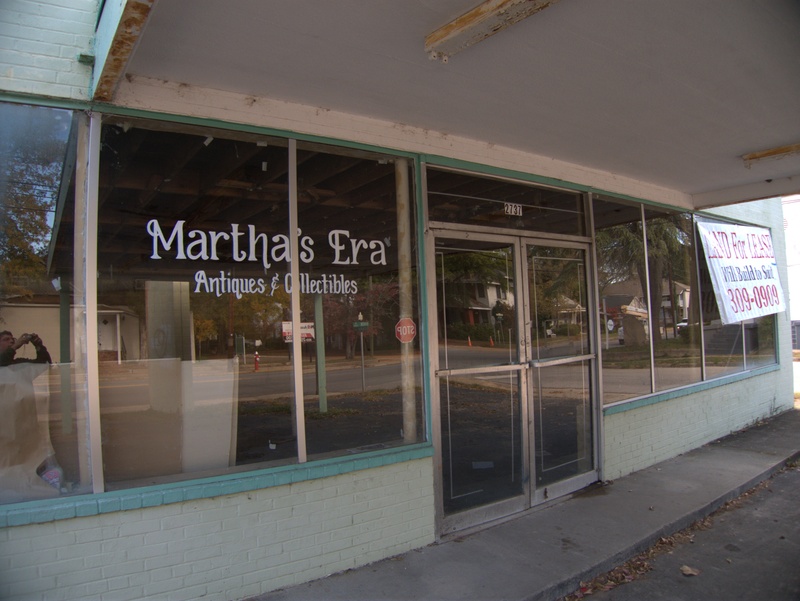 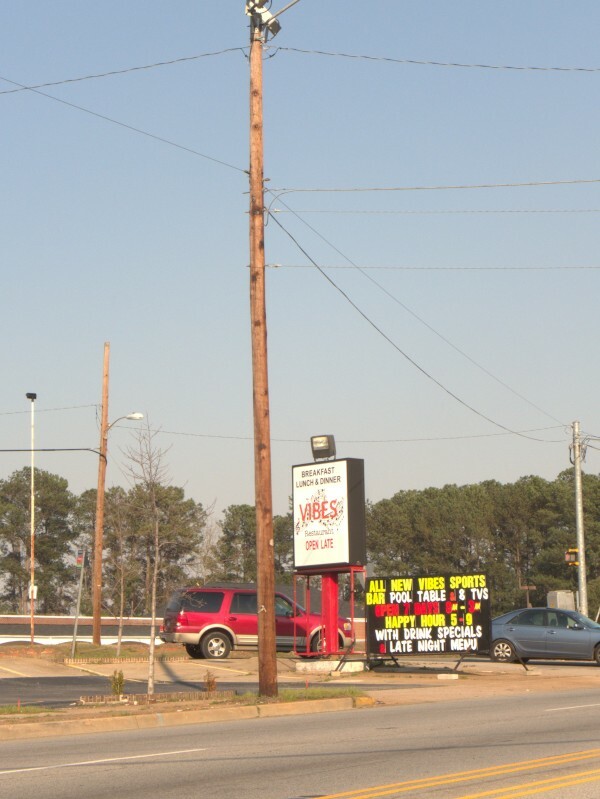 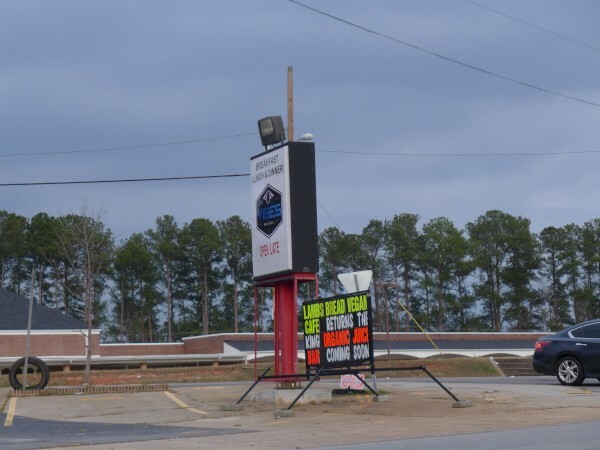 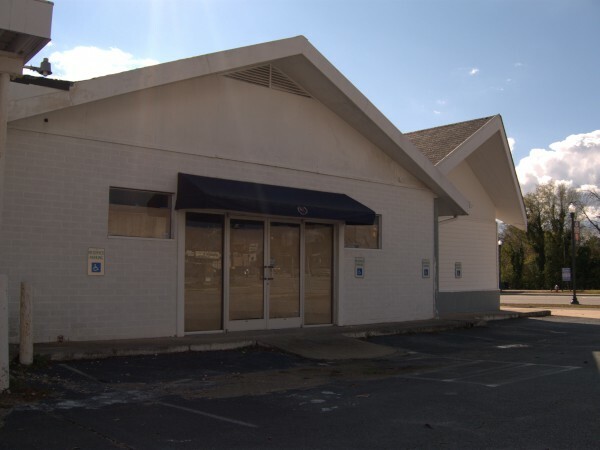 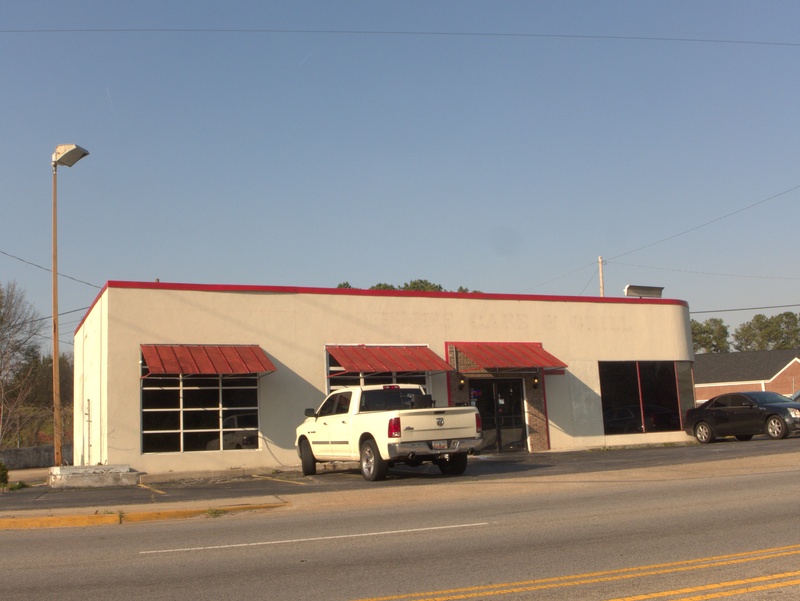 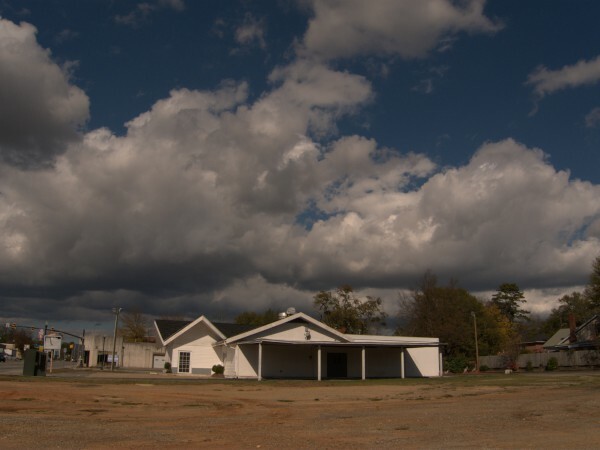 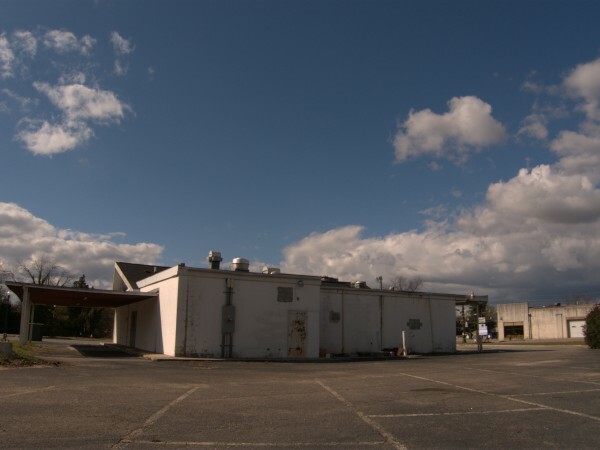 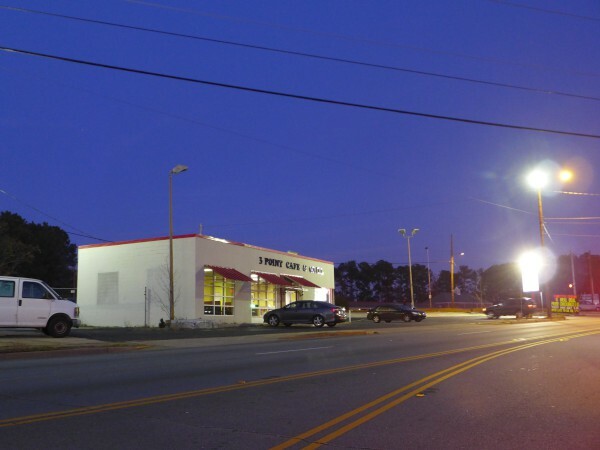 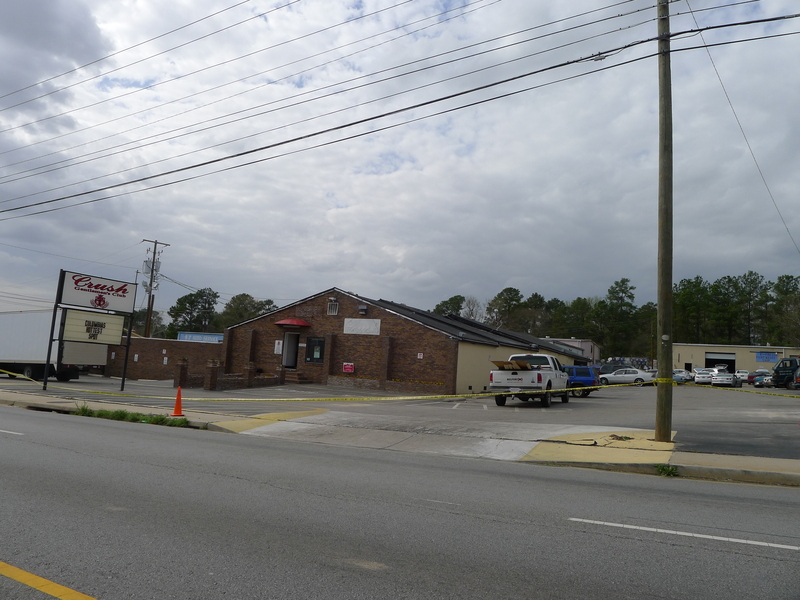 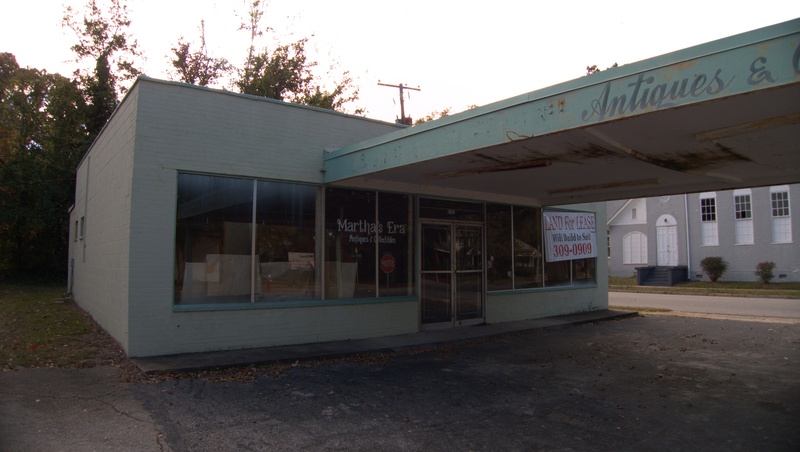 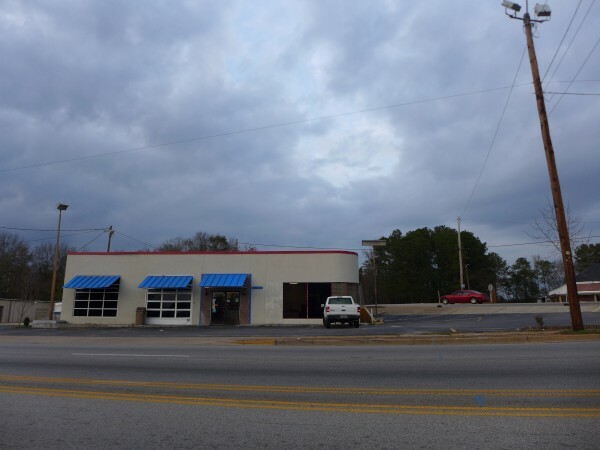 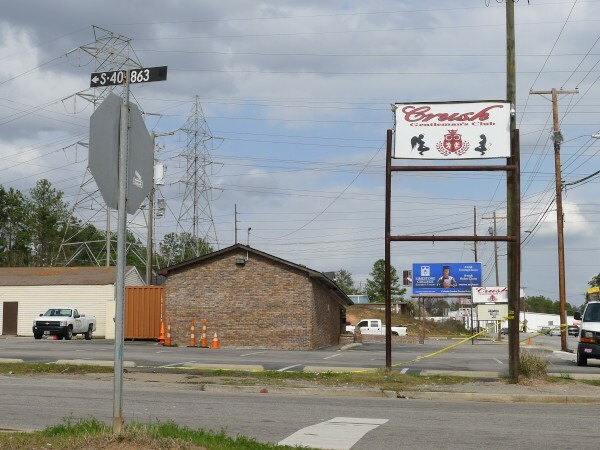 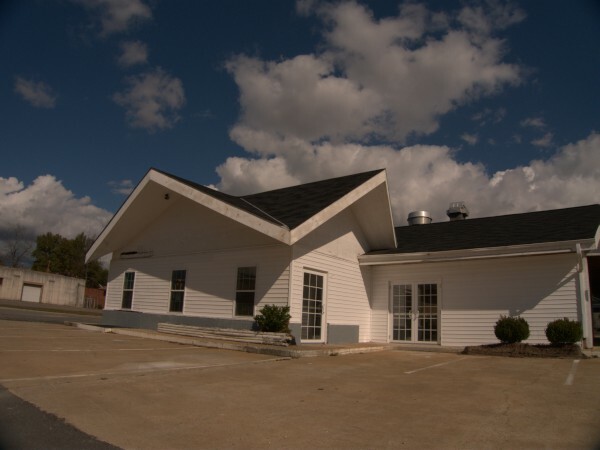 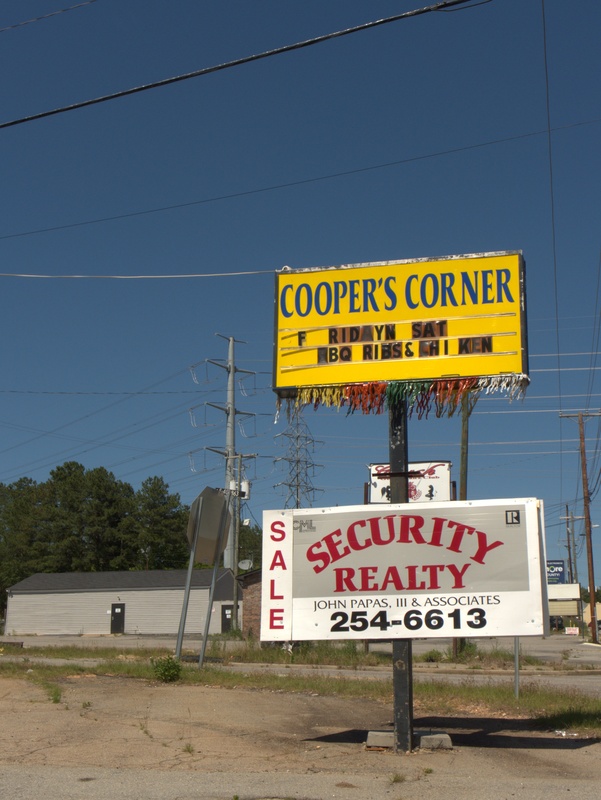 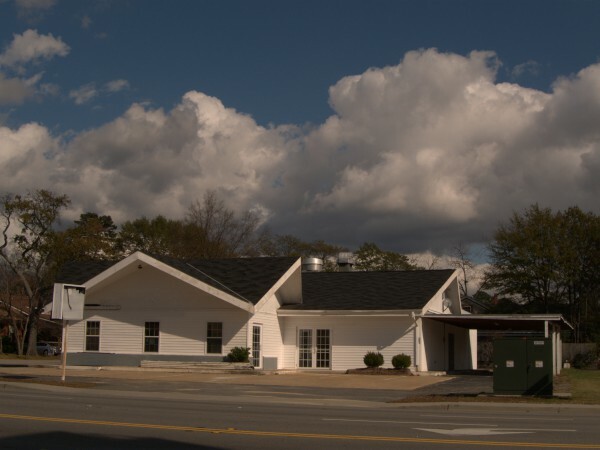 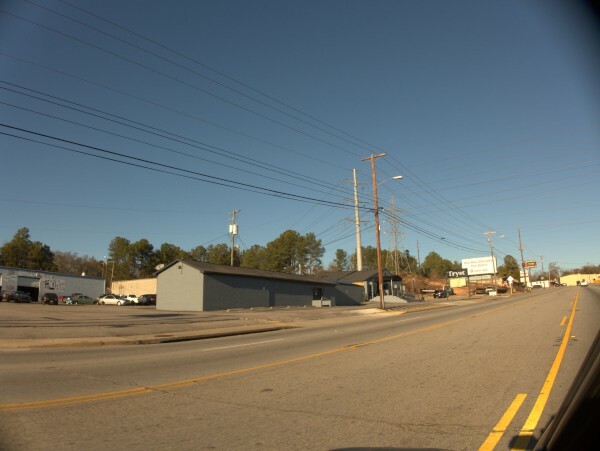 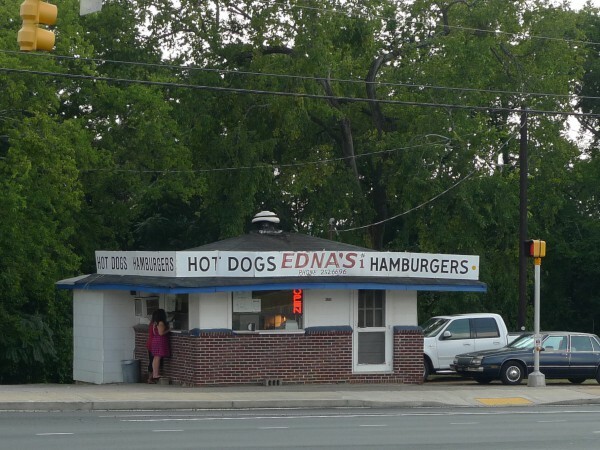 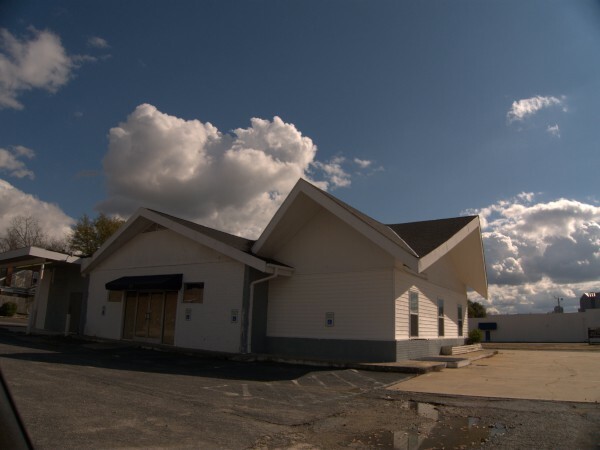 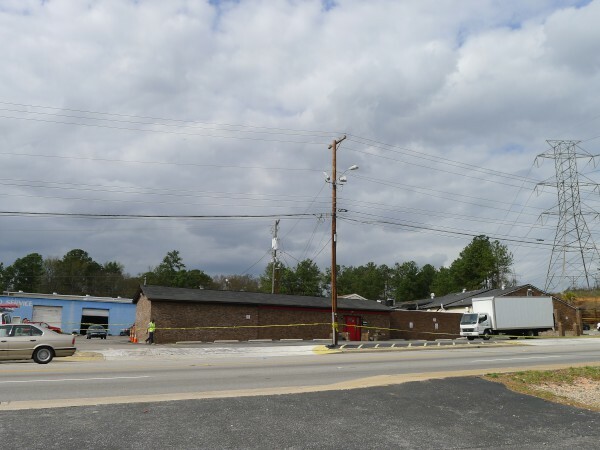 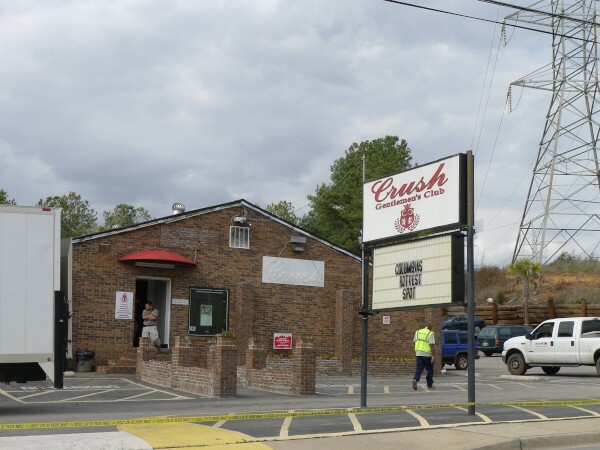 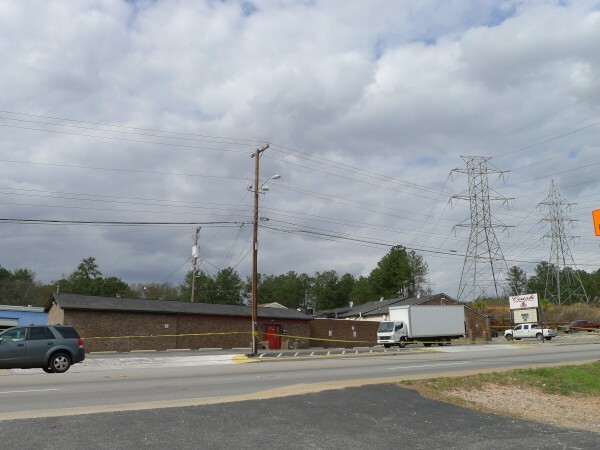 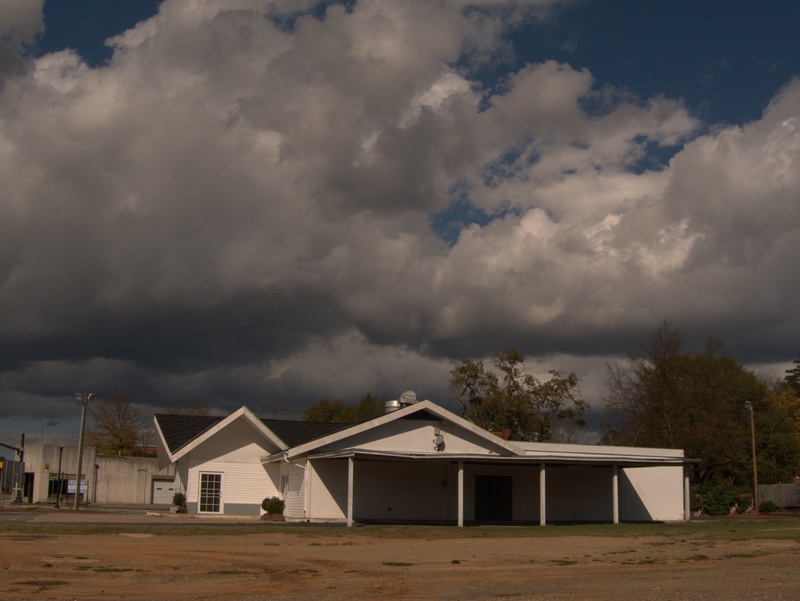 Edna's also had an affiliated located at 2200 Two Notch Road, in a building that is still there, and a third location off Forest Drive, which was razed some years ago. 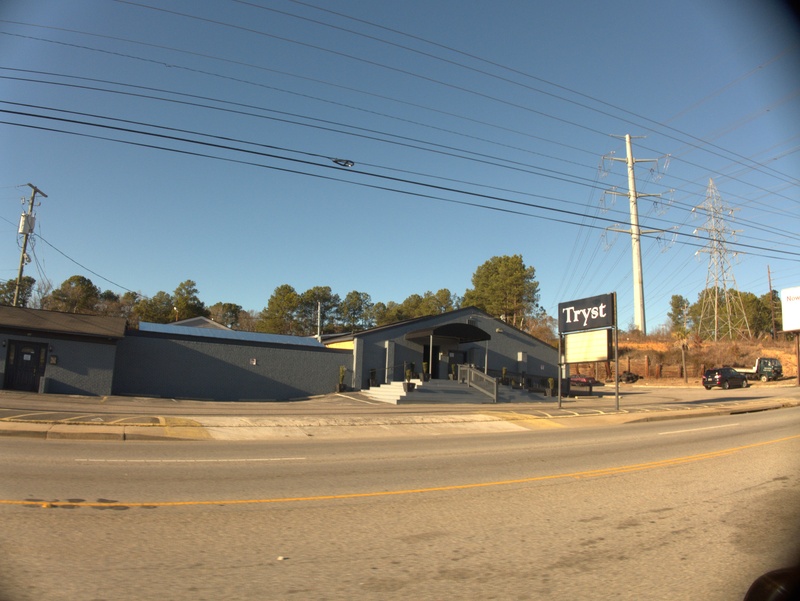 Here is a nice appreciation of Marie Rose Tyner, who ran the restaurant for many years and passed in the summer of 2015. 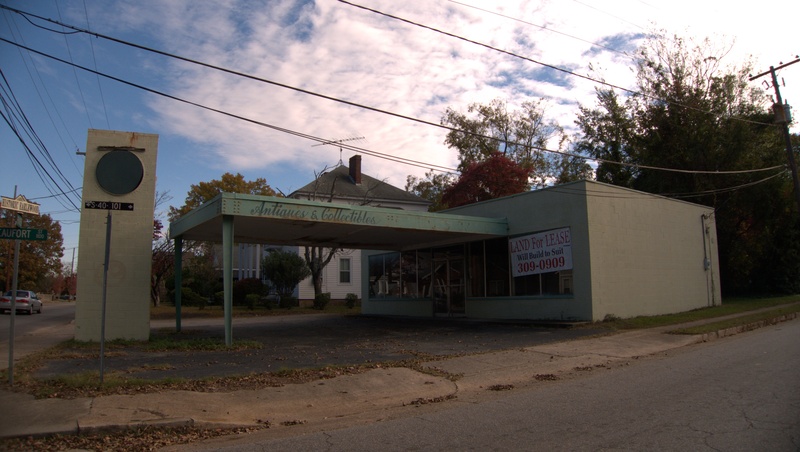 Pretty plainly a service station at one time, this building at the intersection of River Drive, Sunset Drive and Clement Road had most recently been a title loan operation before Buck's Cafe moved in. I presume that the cafe was associated with Buck's Market catty-cornered across the intersection, but I don't know that for a fact. 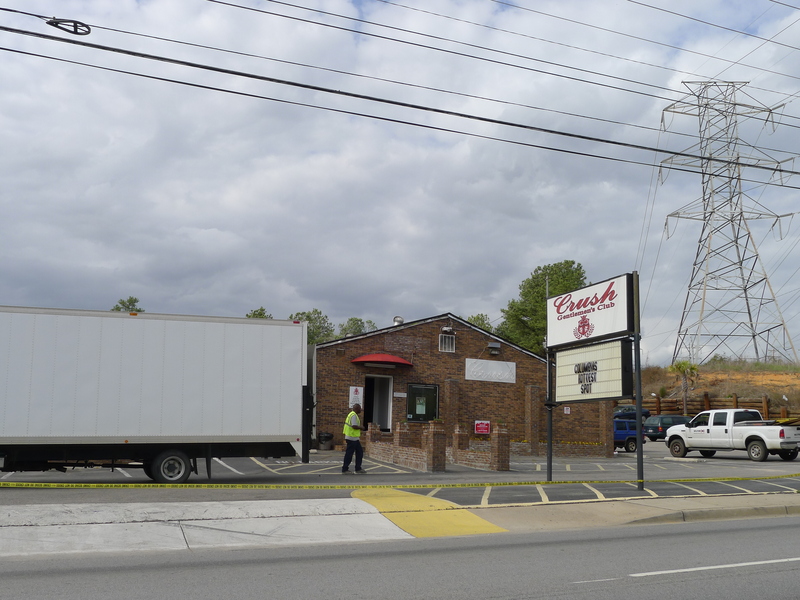 I believe Buck's opened here in 2014, closed for remodeling around the end of that year and then re-opened in 2015. Somewhere I have some pictures of the restaurant in operation, but as usual, cannot put my hands on them right now. 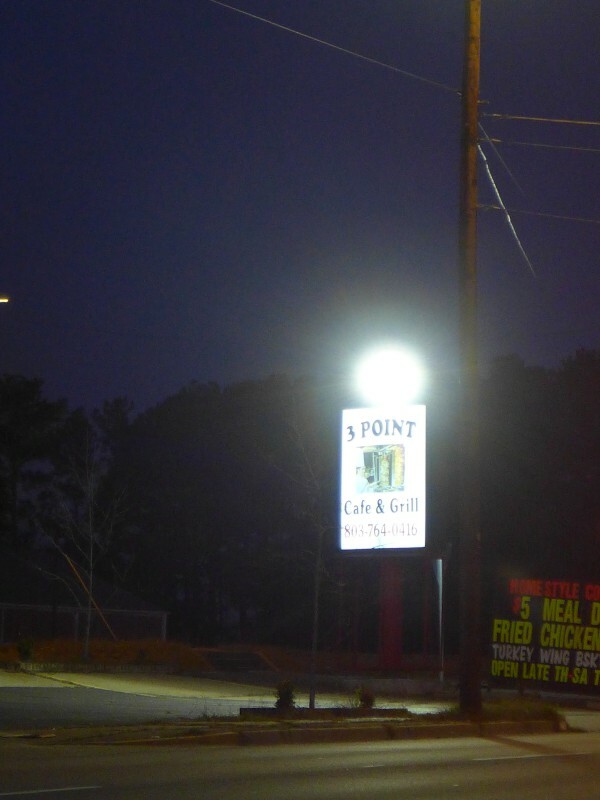 The follow-on operation to Buck's is the aptly named 3 Point Cafe & Grill which judging from the sign is a "home cooking" type of restaurant. I noticed this vacant funeral home driving down Main Street near River Drive the other day. I could weed the pictures down further, but I like the clouds in the long shots too much to lose them. You can still see the label-scar for the business name on the front of the building, and on the turned-inside-out roadside sign if you look closely enough. I had no doubts what the building was even before seeing them however as the design is pretty unequivocal. 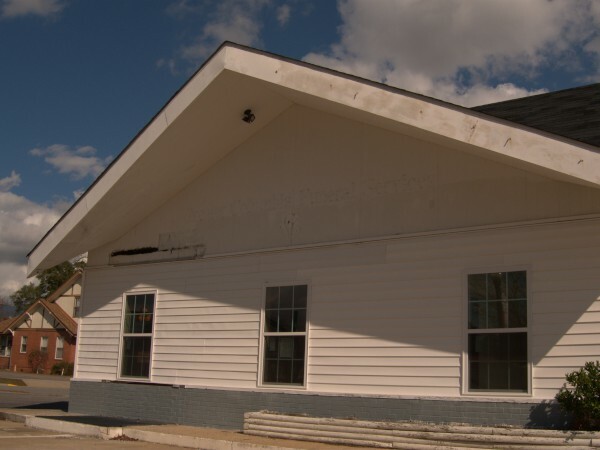 That's not to say it's generic -- I really like the sharp points and slopes of the roof-line. 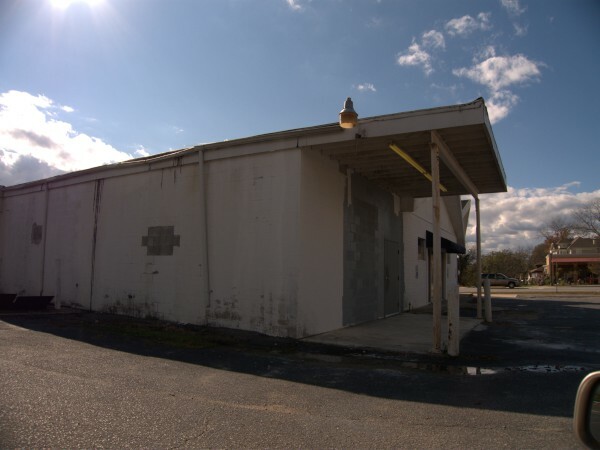 The online property data says it was built in 1960, which I have no problem believing, and LoopNet says it sits on a 1 acre lot, which I would not have guessed. 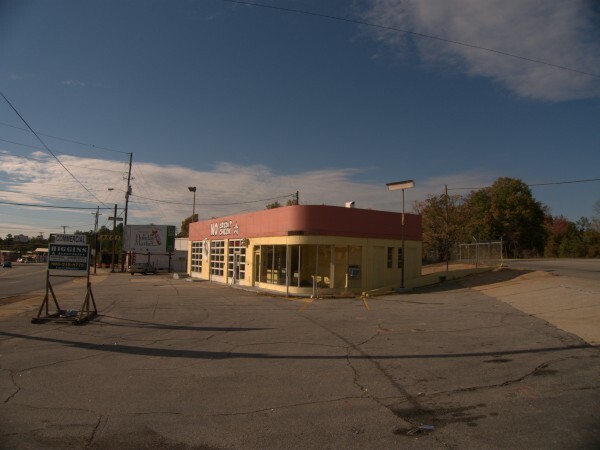 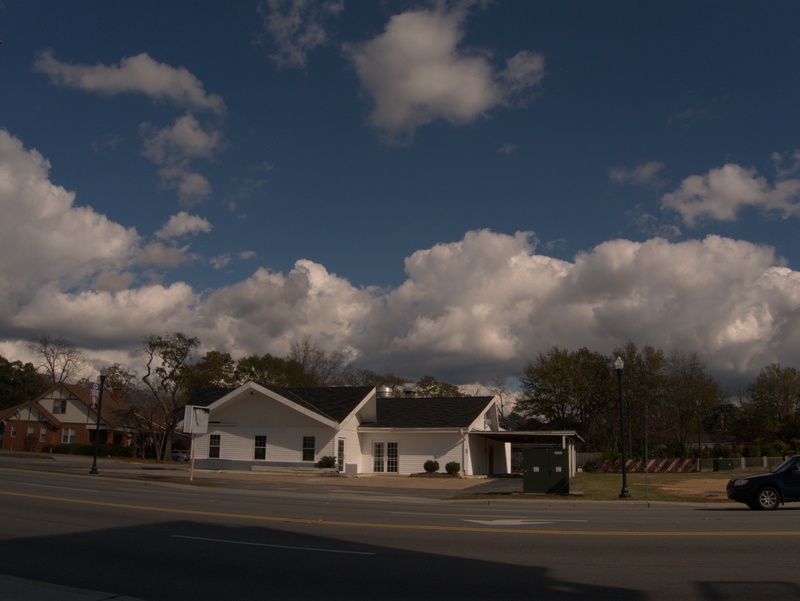 This vintage looking building, which almost has to have been an old gas station originally, sits at the point where Sunset Drive ends, River Drive jinks west and Clement Road fails to become either of those. 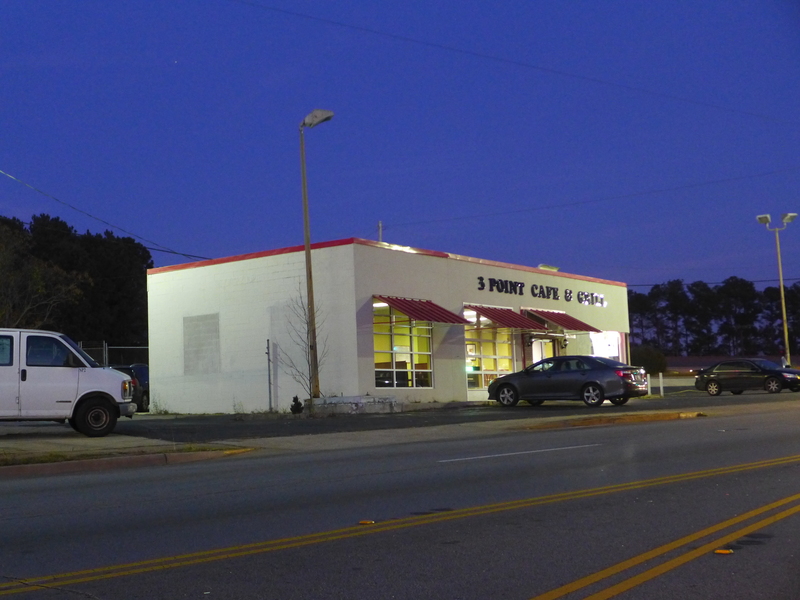 It's across from Edna's, Great China Chinese Restaurant and the old A & P in Sunset Shopping Center. 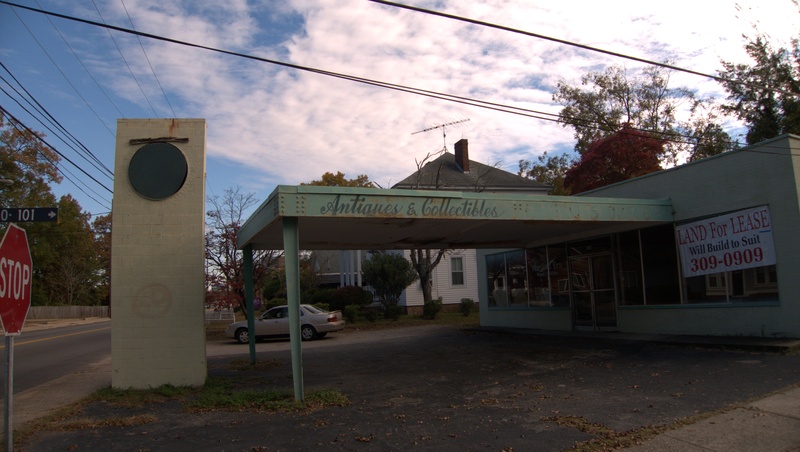 I know that going back into the 60s there had to be more, but currently I am able to google three former tenants, all auto related. 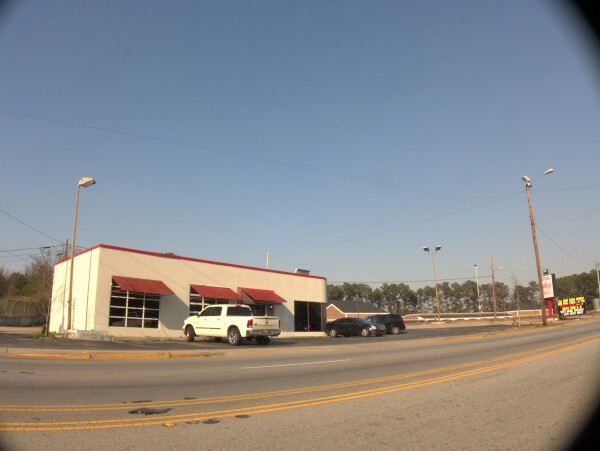 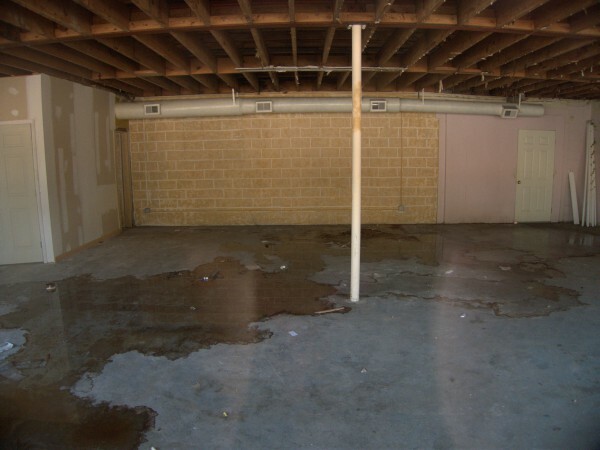 I'm using June 2010 as the closing date for Cash Loans for Car Titles because that seems to be when the building went up on the realtor's web site. I like the building and hope the next owner keeps it. 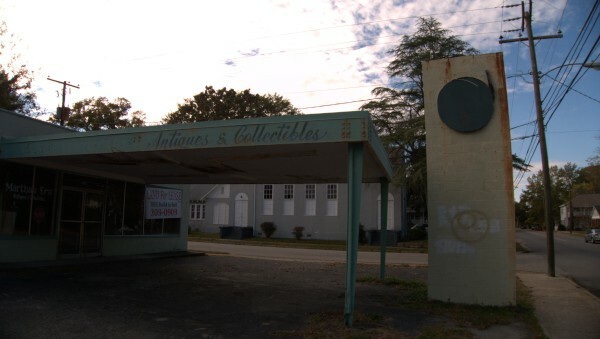 The curved endcap reminds me of the KC Customs building on Augusta Road.